Any conversation about this game has to start at the X. Yale’s Conor Mackie went in 228-386 in faceoffs this season, good for 55.6 percent. Pretty comparable to Ben Williams’ 170-304, which is 55.9 percent. Then again, Yale hasn’t faced the kind of competition that Syracuse has. 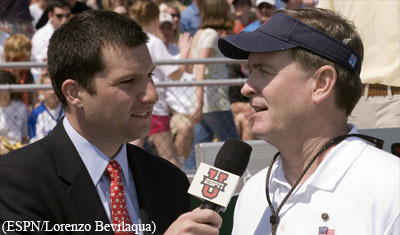 Against NCAA competition, Mackie was 12-27 against No. 1 overall seed Maryland, and 16-29 against Albany. Tewaaraton semifinalist Ben Reeves leads Yale at 5.21 points per game, which ranks fifth nationally. Senior midfielder Eric Scott is second on the team with 41 points (27G, 14A), while freshman attackman Jackson Morrill is third with 37 points. In goal, Phil Huffard struggled to start the 2017 season, and lost his job to Brody Wilson. But after three games, Huffard regained the starting position, and finished with a 9.79 GAA and 115 saves. Syracuse and Yale have met twice in the NCAA Tournament, with the Orange winning both games. Most recently, the Orange defeated the Bulldogs 7-6 in the 2013 Quarterfinal. Overall, the Orange own a 19-4 record, its last lost coming in 1963, and have never lost (4-0) to Yale at the Carrier Dome. It wasn’t an easy road for Yale to the Ivy League championship. The Bulldogs needed two straight one-goal games against Penn and Brown. The win over the Quakers was an instant classic, with the game going to four overtimes before Yale prevailed, 13-12. Against Brown, the Bulldogs scored with 3:39 left in the fourth quarter to break a 9-9 game after Matt Gaudet rebounded his own missed shot for the goal. Meanwhile, Syracuse didn’t have an easy path to its season finale against Colgate in an 11-9 win. SU needed to overcome a 7-6 deficit in the third quarter in Hamilton, and the game wasn’t decided until goalie Evan Molloy scored as time expired. 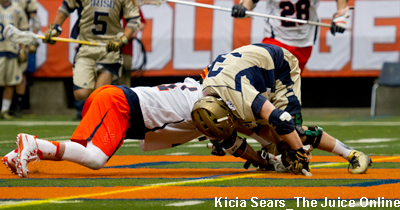 Syracuse needed to hold off the Raiders in the final 1:32, clinging to a one-goal lead. 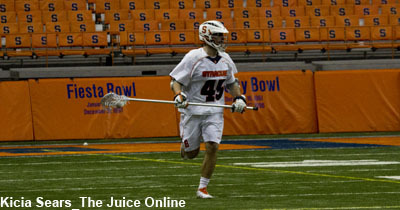 Brendan Bomberry led SU with four points (3-1).